NBC will give four Republican presidential candidates free advertising time next week to compensate them for the 12 minutes given to Donald Trump on "Saturday Night Live," an NBC spokesperson told CNNMoney. John Kasich, Mike Huckabee, James Gilmore and Lindsey Graham will each be given 12-minutes-worth of advertising time on 18 NBC affiliate stations in Iowa, New Hampshire, and South Carolina. The ads will air during primetime hours on November 27 and 28, as well as during "Saturday Night Live" on November 28. "In compliance with FCC regulations, NBC has come to an agreement...on each candidate's equal time requests following Donald Trump's appearance on SNL on Nov. 7," Lauren Skowronski, the NBC spokesperson, said in a statement. George Pataki, who also requested equal time, turned down NBC's offer. A Pataki spokesperson said the campaign will continue to discuss the matter with NBC in coming days and is "hopeful to reach a swift resolution." NBC had reached out to the five campaigns last week with initial offers for "equal time," which varied based on the campaigns' requests. The Kasich and Huckabee campaigns had requested time on NBC's national broadcast, whereas the Pataki and Graham campaigns sought time in early primary states (and, in Pataki's case, New York). The other presidential candidates did not file a request for equal time. The FCC's "equal time" regulations state that presidential candidates are entitled to equal time for any appearance that does not qualify as a news event. The candidates are not necessarily entitled to the same platform. 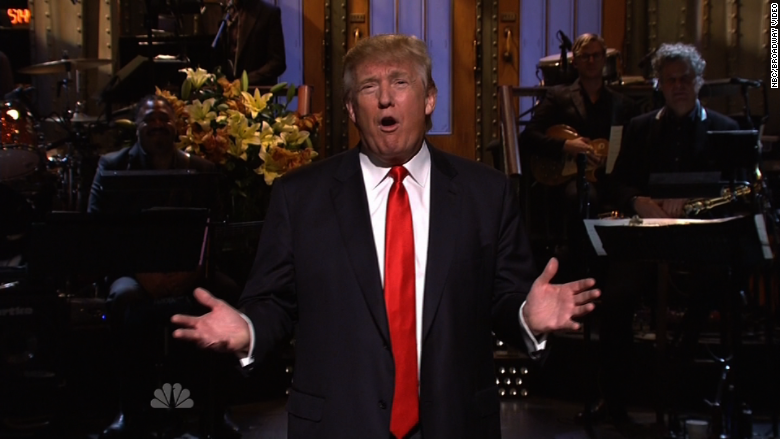 Trump appeared on "Saturday Night Live" on Nov. 7 for a total of 12 minutes and 5 seconds. The episode drew 9.3 million viewers, SNL's largest audience in years.